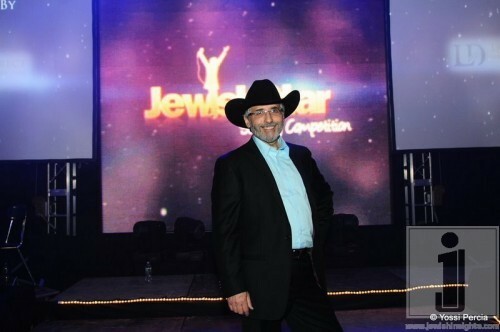 After 144 video auditions from contestants around the world, 261,283 votes were casted, and the 13 finalists were chosen, as Country Yossi put it, the Most Anticipated Event in Jewish Music was finally here! 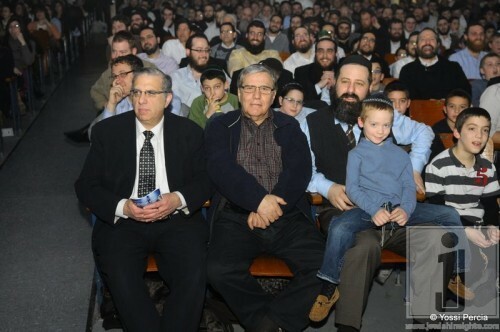 Men, women and children of all ages were there for this event at the Brooklyn School of Music. 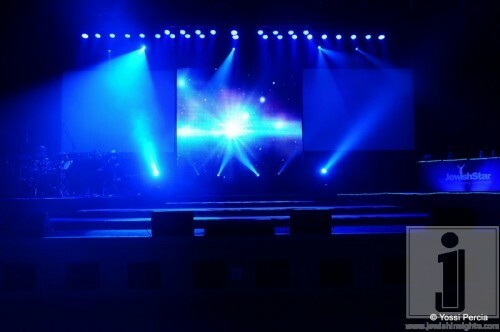 By 7:30 p.m. the lights were dimmed, all were ushered to their seats and a video introduction went off on the middle screen in a smoked filled room. 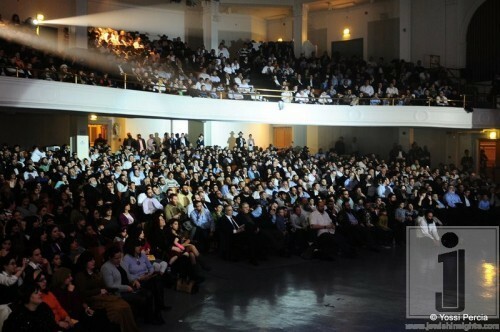 The video showed clips of the auditions of all 13 finalists and the crowd applauded. 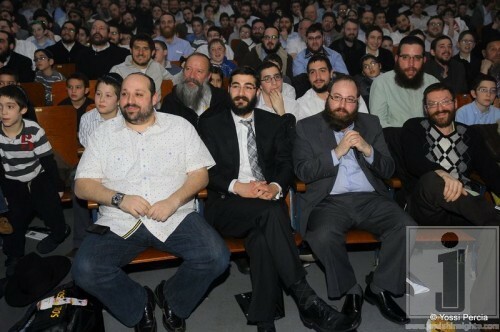 An especially loud applause went to Menachem Weinstein, Shlomo Menkes, Mendy Piamenta, Aaron Holder and Shmuly Braufman. 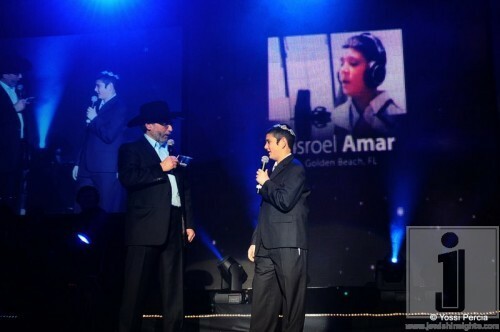 The video then welcomed to the stage the emcee of the evening, Country Yossi. 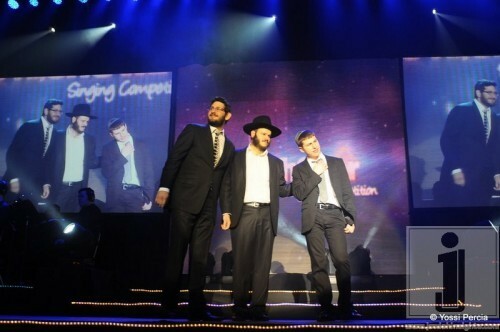 Country Yossi took the stage and welcomed the three judges Avraham Fried, Eli Gerstner and Mendy Pellin. 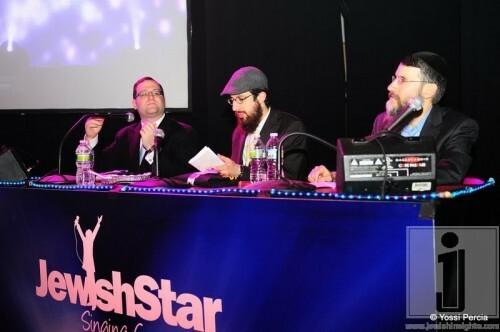 After they took their seats on the Judges Panel the emcee asked them what criteria they were looking for in the next “Jewish Star”. 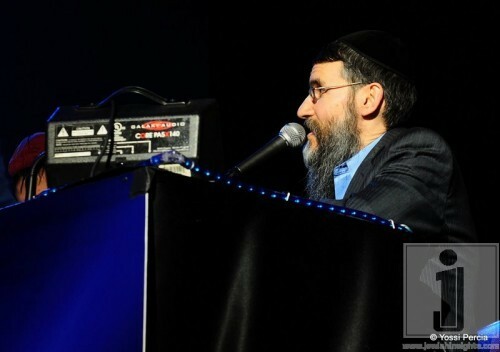 Mendy said “I’m looking for what Avraham Fried is looking for” which got the crowd laughing but on a serious note he said he was looking for their stage presence and how the crowd reacts. Eli said he was looking for Chain and for each contestant to sing on key. 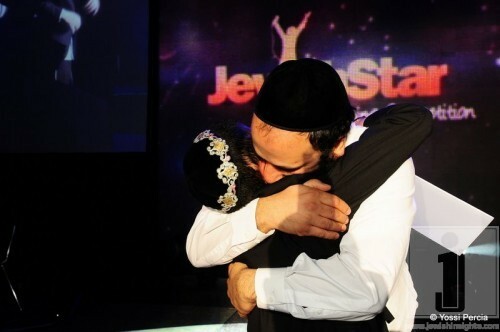 Avremel was looking for passion meaning that the contestant should sing from the heart and connect with the words like “Davening on stage.” The stage was set, the judges were ready and the electricity was in the air, who will be the next Jewish Star? 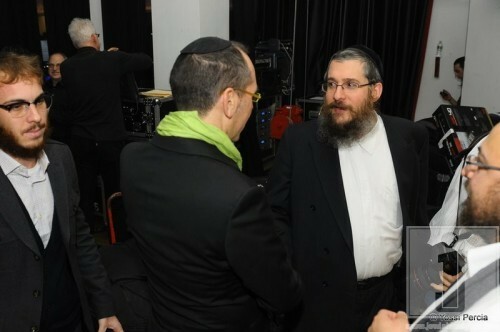 “The contestants are anxiously waiting backstage to come out and perform for you tonight” said Country Yossi. 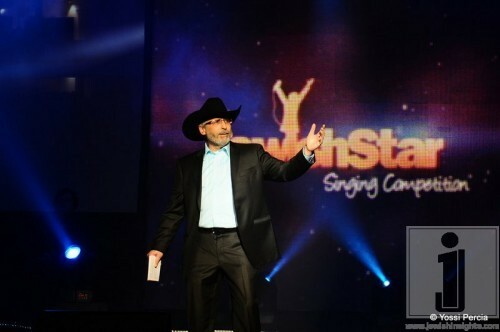 As Country Yossi introduced each contestant, each was asked how they got into singing, who they aspire to and what they would do if they won. 1. Zalman Levy, 21 years old from Johannesburg, South Africa. 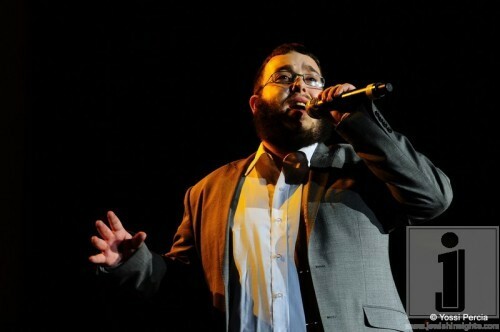 He sang his original composition entitled Soul II Soul which was the same song he sung in his audition. 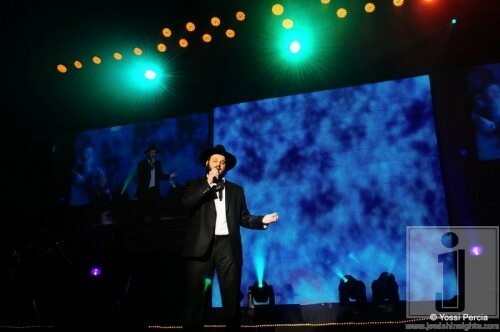 It was a very upbeat, happy tune, sing-along song which got the audience in a good mood and gained him a loud applause. He was a great start to the show. Judges opinion/comments: Flying start, nice performance, great soul, folksy pop sound, very enjoyable! 2. 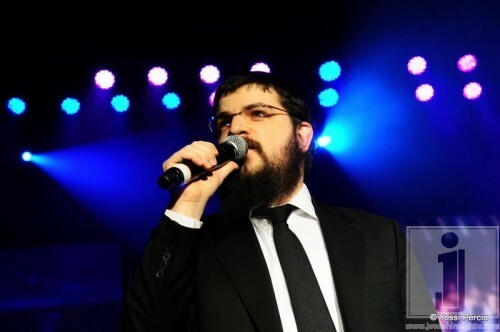 Motti Hershkowitz, 27 years old from Crown Heights, Brooklyn. 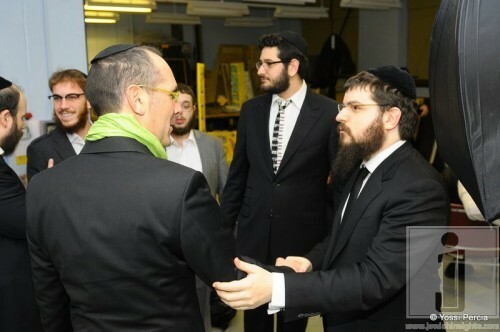 He sang Eishes Chayil by Yaakov Shwekey. He has a very nice voice and sings from the heart. However, he struggled to hit some notes. He also stood in place most of the song, shuckeling. Judges opinion/comments: Needs more time to get comfortable on stage, emotion clearly there, not the best song to show off his voice. 3. Shlomo Menkes, 52 years old from Santa Monica, California. 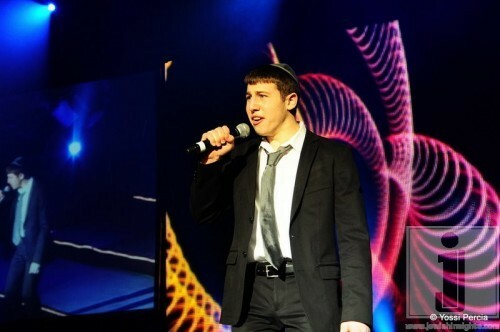 He sang his original composition from the audition, Atoh Hashem LoSichla. Last May, his daughter needed a kidney transplant and he was going to be the donor. 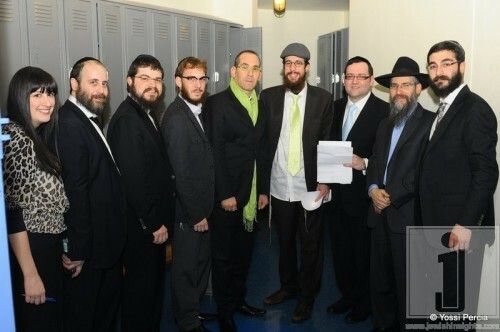 It ended up not matching but they found a different donor and Baruch Hashem everything was successful. This Pasuk then came into mind and he composed this song! WOW! 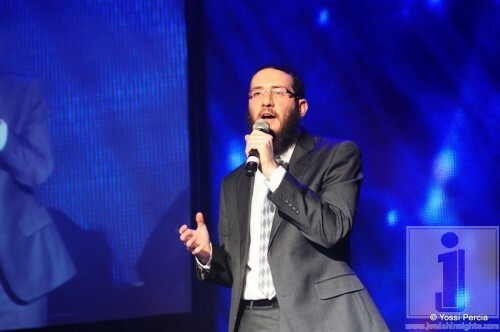 This song got the crowd singing and dancing like a real Simcha! He put on his sunglasses and rocked away. 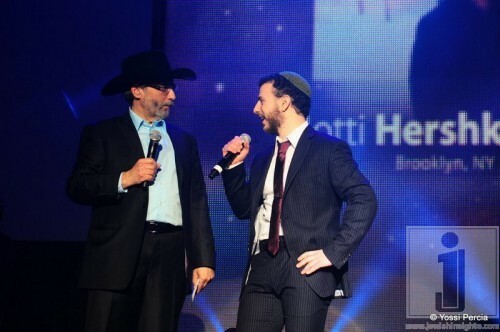 He was very leibegdig on stage and the audience felt his energy! Judges opinion/comments: Great performance, a natural, feeling of an old niggun written years before. 4. 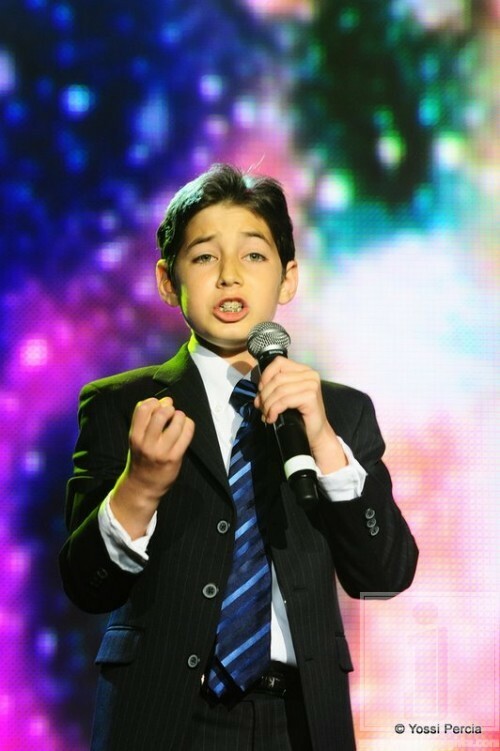 Akiva Shechter (Jr. Finalist), 12 years old from Miami Beach, Florida. 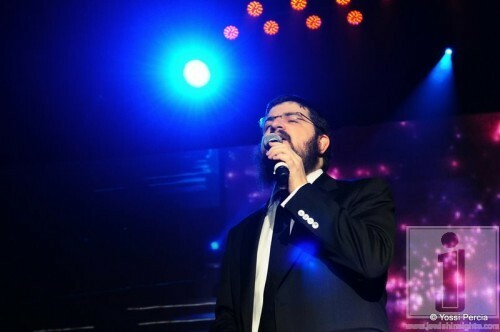 He sang V’Hu Keli by Baruch Levine. 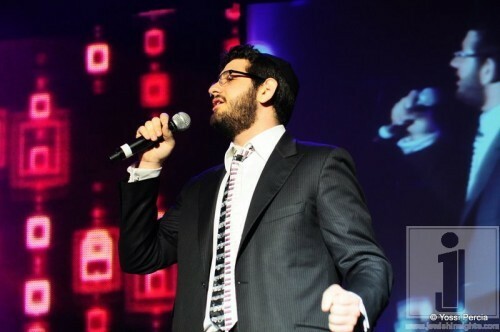 Akiva Shechter is truly talented! His voice has a wide range and he takes great control over it. 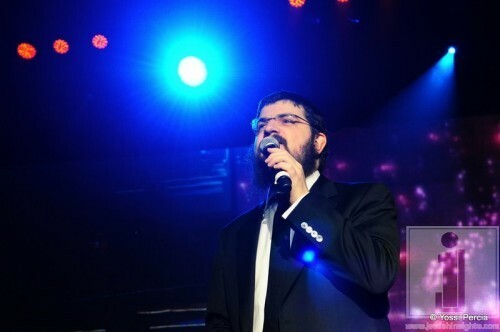 He added a Chazzunish feel to the song and sang from his heart. 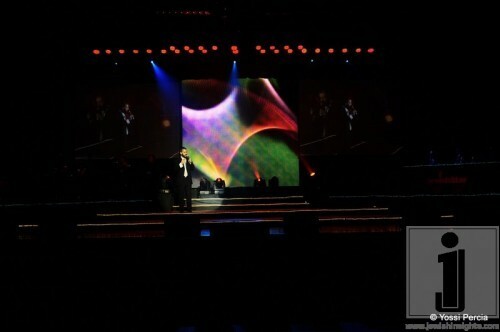 At the end of the song there were several men who stood up and he received a huge applause from the audience. Judges opinion/comments: Blown away, great high notes, very emotional, born for this stage. 5. 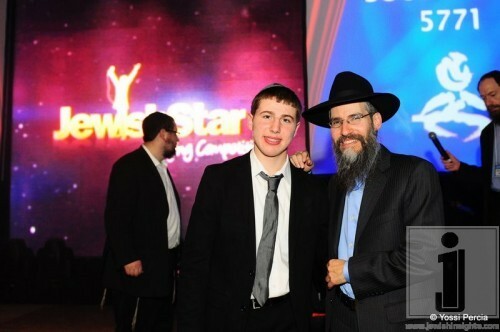 Menachem Weinstein, 19 years old from London, England. He sang his original composition Hear Me Cry. 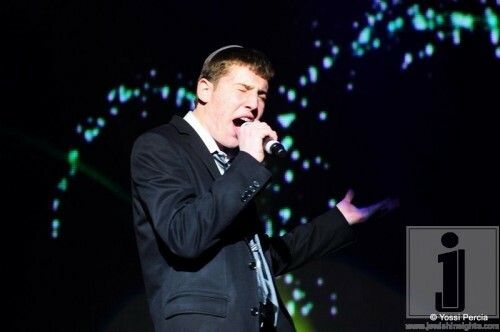 Menachem is new to the music scene and off to a great start! He wanted to sing his song the way he sang it in the audition in a rap but instead took it down a notch and sang the slow version. Even so, it was extremely catchy and got the audience cheering! 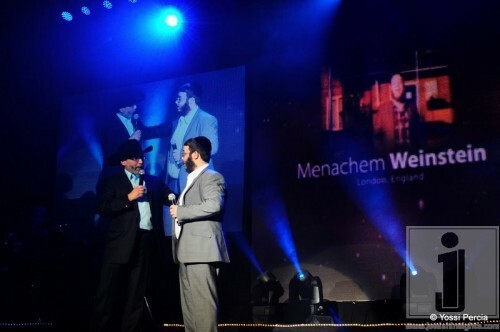 He was very confident on stage and I am sure Menachem will go a long way. 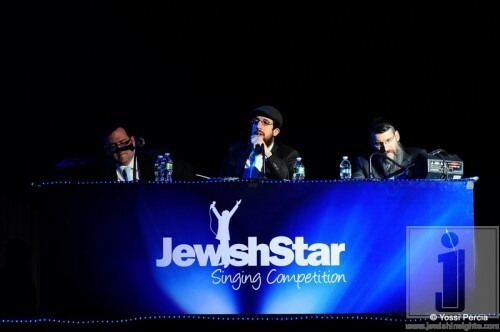 Judges opinion/comments: You have music in your soul, you loved the stage and the stage loved you, best Jewish lyrics, wished to see you rapping but did a great job anyways. 6. Ezzy Duchman, 27 years old from Miami Beach, Florida. 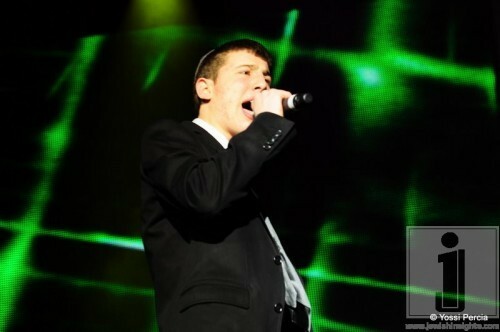 He sang the same song as his audition, Habeit by Abie Rotenberg. One thing is for sure, he displays his voice very nicely. 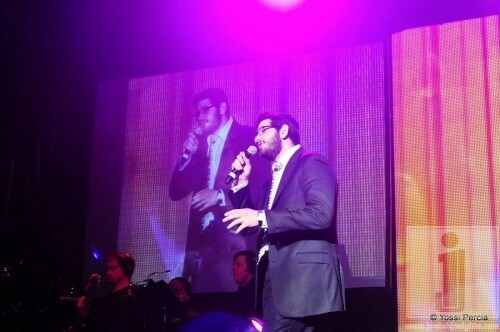 He was able to hit high notes and his voice flowed very well with the band. 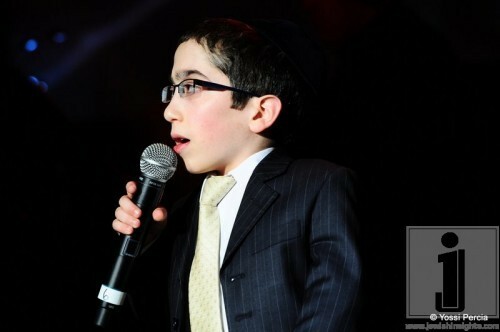 In my opinion he is the future Abie Rotenberg. Judges opinion/comments: Perfect example of not judging by the video, nailed high notes, confident on stage. 7. Zalman Atal, 24 years old from France. 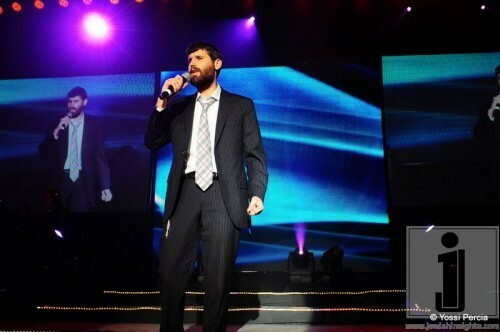 He sang V’Yerushalayim by MBD. 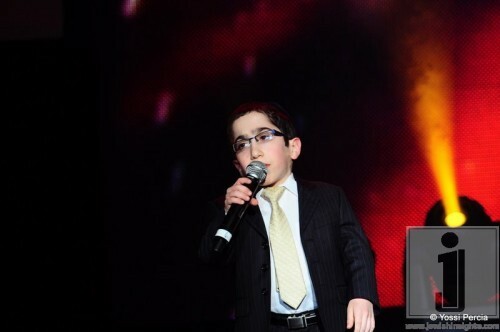 Zalman was not able to communicate much since he did not speak English but this did not stop him from delivering an unbelievable performance. 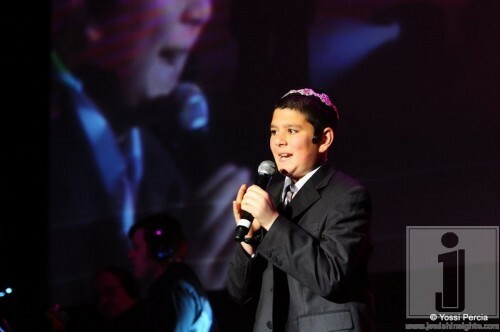 He had a slow, steady, smooth and heartfelt voice. 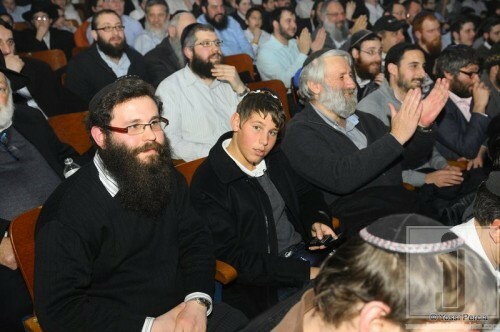 After the music ended, Zalman delivered an encore followed by a loud applause. 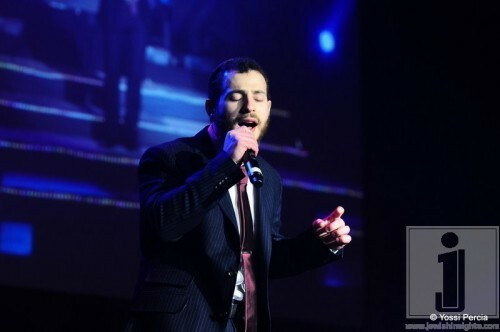 Judges opinion/comments: Beautiful voice would make a great chazzan, Kol Hakavod! 8. 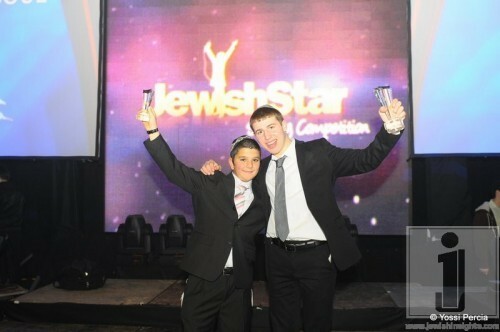 Yisroel Amar (Jr. Finalist), 12 years old from Golden Beach, Florida. 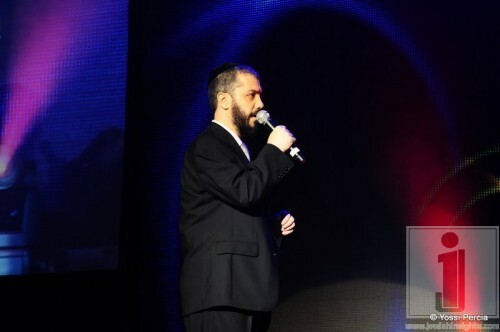 He sang the same song from his audition, Pia Poscho. 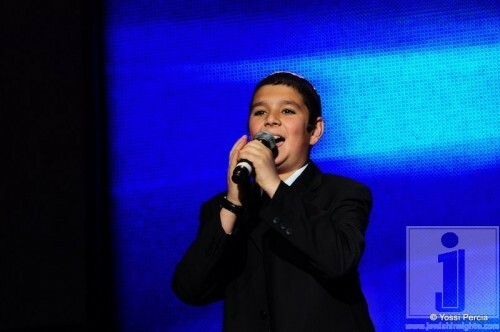 He sang with so much emotion and straight from his heart just what the judges were looking for. He also had great pronunciation. He wowed the judges and the crowd. He received one of the biggest applauses of the night. Judges opinion/comments: Enjoyable from beginning to end, a real natural, great voice. 9. Aaron Holder, 20 years old from Miami Beach, Florida. 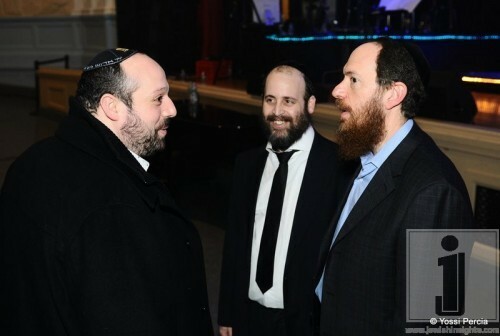 He sang his original composition A Song for Sholom (about Sholom Rubashkin). Aaron has an atypical type of voice, something different. A manly, strong voice but fitting his tall presence. 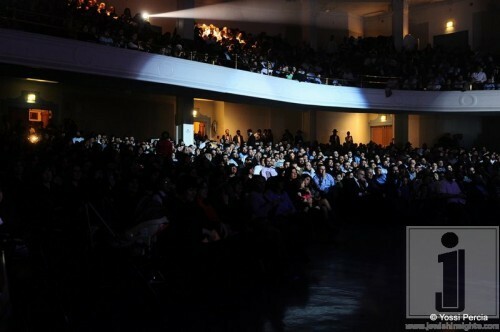 He grabbed the audience and made them smile from his enchanting performance. Really nice job! 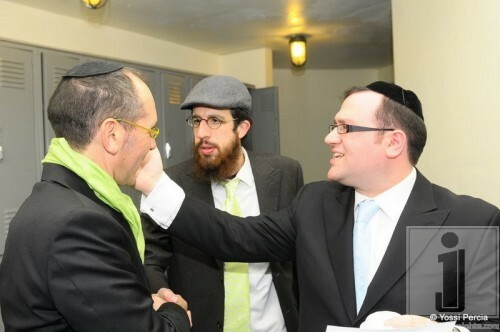 Just to make sure it was real, Mendy Pellin got up, had him speak without a mic in his ear and found out that indeed it is natural. 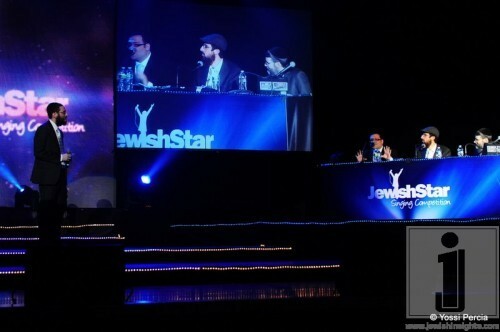 Judges opinion/comments: Very powerful, amazing voice, Jewish Country Music Rocks! 10. 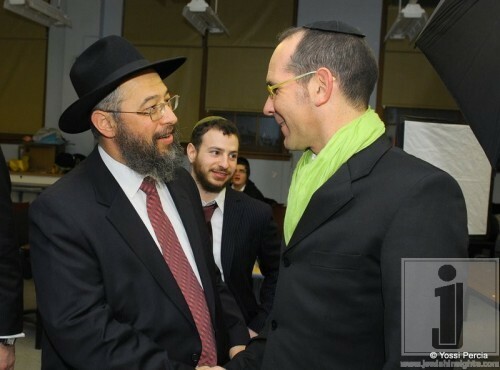 Gershon Shapiro, 36 years old from Brooklyn, New York. 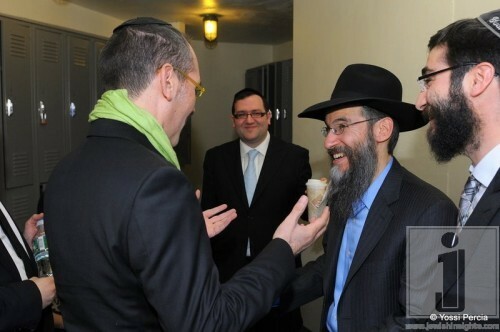 He sang Just One Shabbos by MBD. 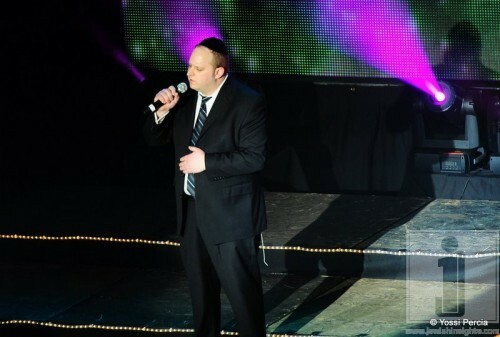 Gershon was back for the second year in a row! 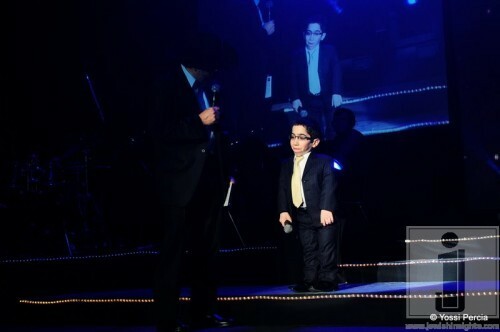 This year, he sang a great song and did a good job. However, a little more energy would have made it perfect! 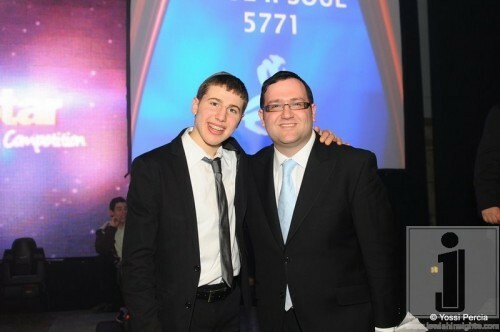 He has outstanding stage presence and I am sure Gershon will go a long way. Judges opinion/comments: Dynamite performance, better than expected, hit all the notes. 11. 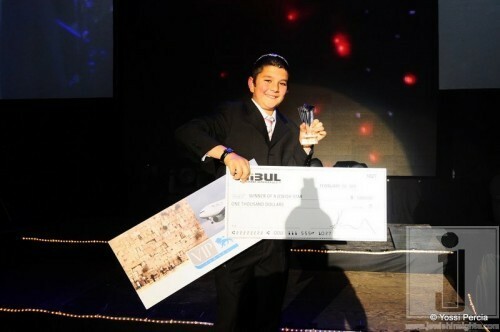 Shmuly Braufman(Jr. Finalist), 14 years old from Morristown, New Jersey. 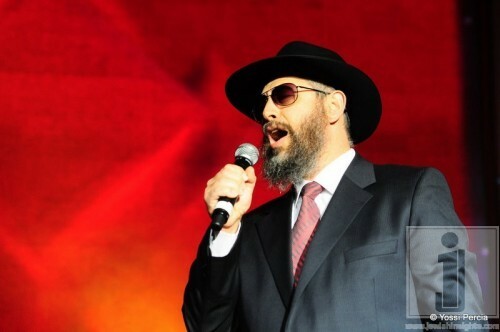 He sang Someday by MBD. Great song choice! He started a bit nervous but quickly relaxed and showed confidence. He has a very powerful, smooth and mature voice. 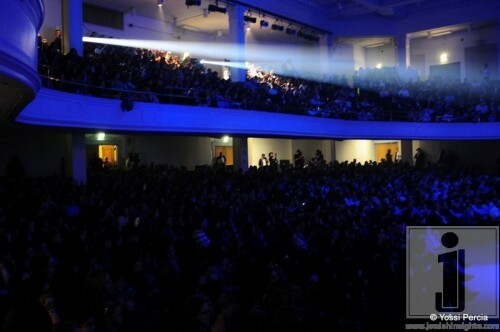 The entire crowd was clapping and he received a standing ovation. Judges opinion/comments: Winner or not – true inspiration, wonderful voice. 12. 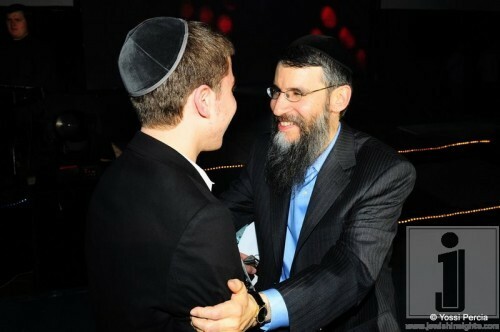 Mendy Piamenta, 16 years old from Kfar Chabad, Israel. 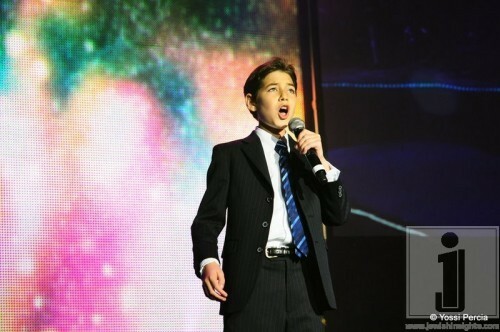 He sang his original composition from his audition. He really got into the song. The energy was unbelievable. He got a little too excited but for the most part, great job! Judges opinion/comments: You rocked the house even without any instruments, very good job! 13. 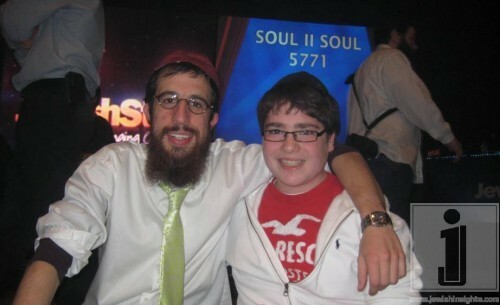 Hillel Braun, 26 years old from Lakewood, New Jersey. 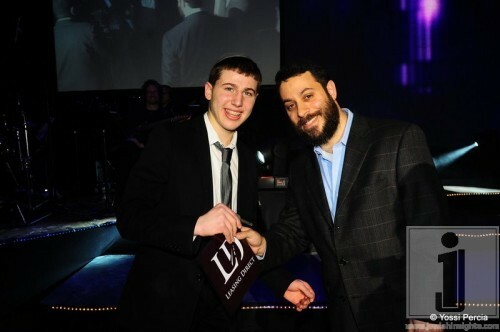 He sang Refuah Shelema by Yaakov Shwekey. Heartfelt with a gentle voice. He would be great as a wedding singer. Judges opinion/comments: Strong voice sang with emotion, better than video. 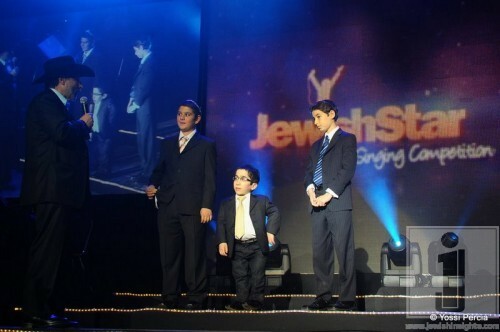 Country Yossi then came back to the stage and brought out the three Junior finalists to announce the winner! 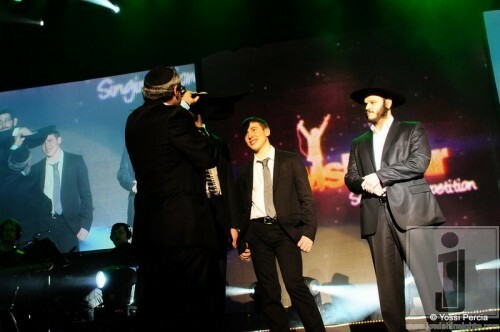 After much anticipation and the judges remarking that all three were great they declared Akiva Shechter as the second runner up, Shmuly Braun as the first runner up and Yisroel Amar as the Grand Prize Winner! 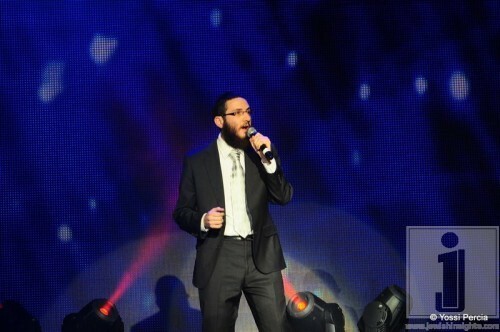 After a short intermission, Benny Friedman gave a great performance. 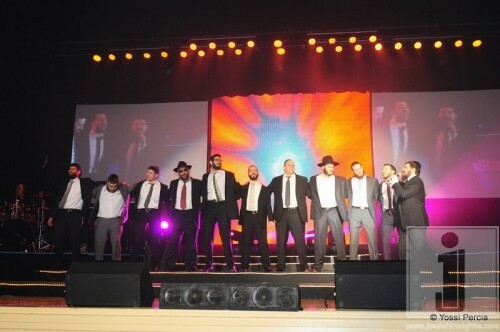 Benny called up the 10 finalists to join him in his last song. 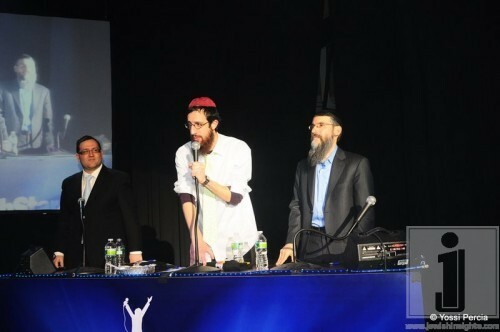 Country Yossi returned for the last time to determine the Judge’s decision. The contestants stood arm in arm in a tense filled moment waiting for their names to be called. 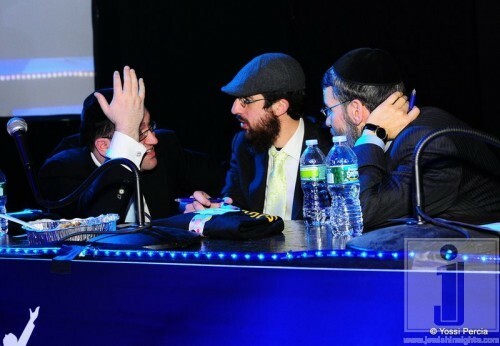 All were asked one by one to step down and exit the stage except for the three remaining finalists, Zalman Atal, Aaron Holder and Mendy Piamenta. 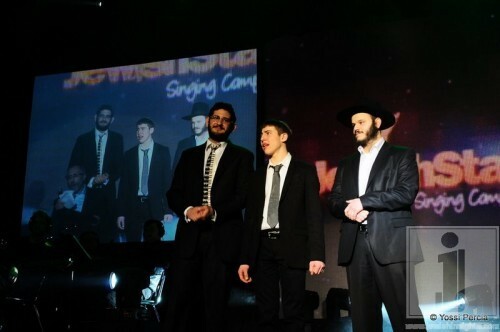 Each of them sang one more song before the judges would make their final decision. 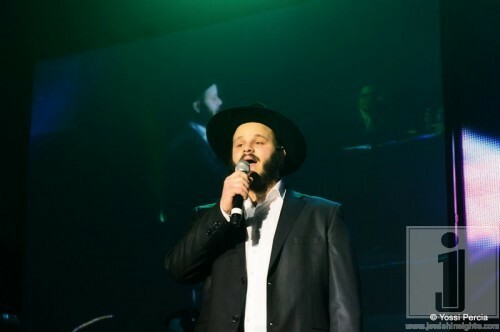 Aaron Holder sang V’zakeini which was interesting because I am used to Baruch Levine’s high voice and then Aaron sang it with a deep baritone voice. Zalman Atal then sang Birshus. 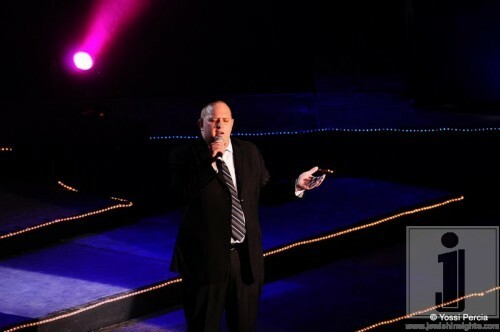 Once again he got the crowd into it, singing and clapping along. 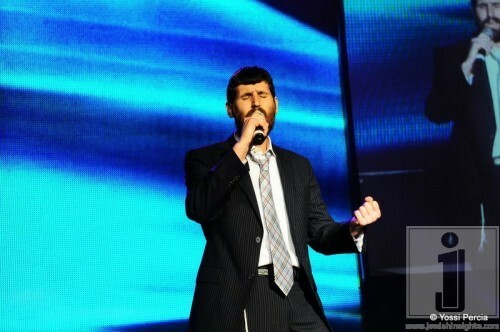 Mendy Piamenta was up last singing Vehi Sheomda. 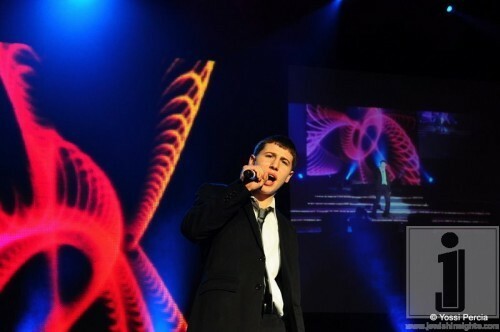 He sang this time with more emotion and even got the judges rocking back and forth. 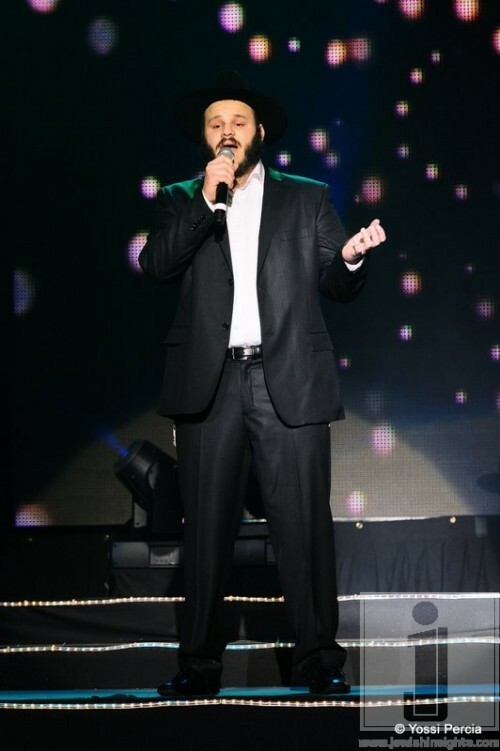 As the judges were mulling over their decision, Country Yossi announced the grand prize of a $1000 check, a two year car lease, free singing advice from Avraham Fried and a single to be put out by Aderet Music. Mendy then brought up the results. Before they announced the winner, the judges asked forgiveness to all the contestants if they hurt anyone’s feeling in any way. 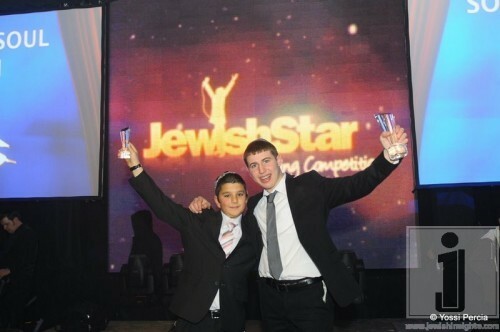 They then declared Zalman Atal the second runner up, Aaron Holder as the first runner up and Mendy Piamenta as the Grand Prize Jewish Star Winner! I thoroughly enjoyed the show and can’t wait to see more talent next year! 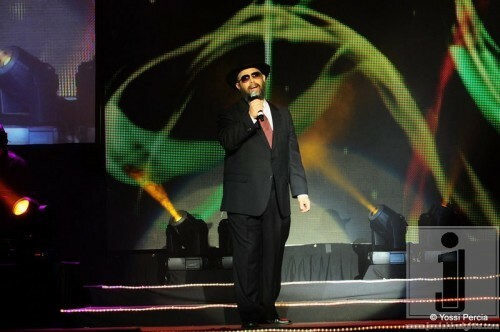 The show was hosted by the annual Soul II Soul concert which benefits the education of children and adults with special needs. 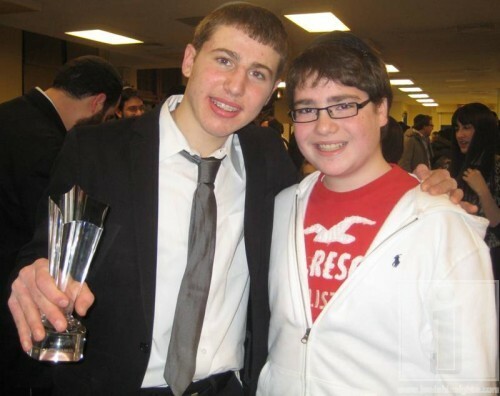 Its directors are Shmuly and Tzirl Goldman. 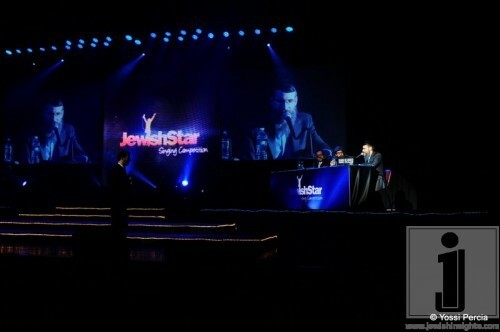 Producers of A Jewish Star are Mica Soffer – owner of COLlive.com and her husband Yossi Soffer – owner of Unique Advertising Group. 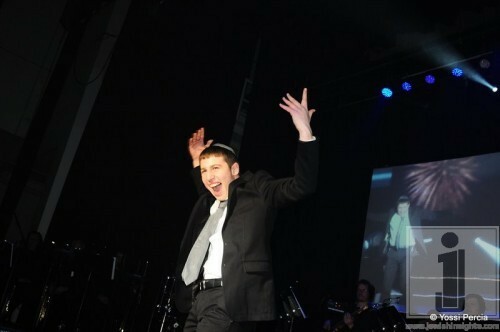 Yochi Briskman was the musical director. 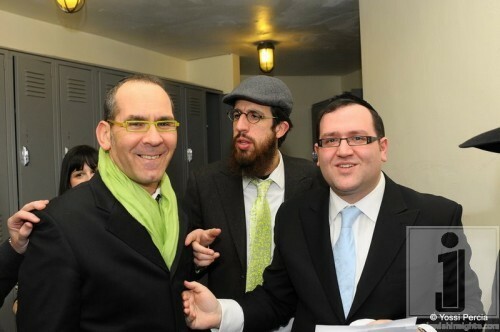 Yehuda Ceitlin was the creative director. 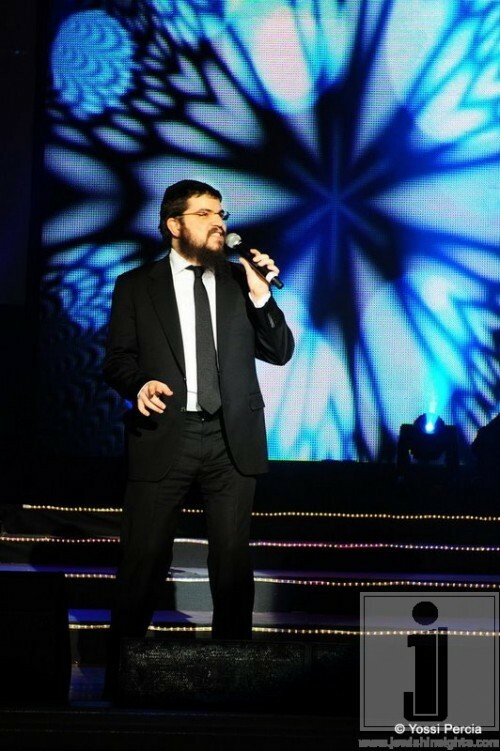 Organizers thanked Mr. Sam Chanin for his commitment to advancing and developing the competition, and bringing fresh talent to the Jewish music world. 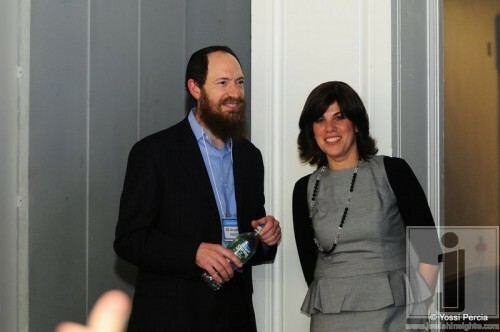 Mr. Yossi and Batsheva Popack were the honorary chairs of the event.